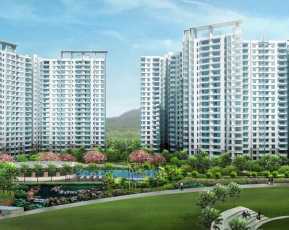 Rama Fusion Towers: Grab Your Apartment at an Affordable Rates in Pune Rama Fusion Towers is the popular project in Pune. 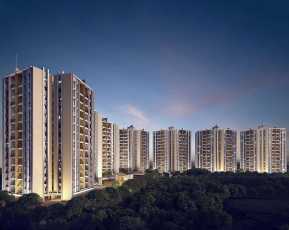 This project comes under the Rama Group who have developed their name is the real-estate sector since 1991. From over the past 27 years, they are providing quality living across the country. When we talk about the best firms the Construction & Real Estate Industries then, the name of the company comes in the top for delivering the best apartment and Property in Pune. We can easily see this in Rama Fusion Towers. 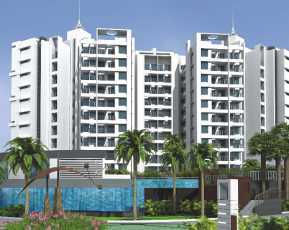 It has a solid and strong structure with all the basic Amenities. Rama Fusion Towers apartments have a great surrounding and infrastructure, if we traced Rama’s success and their willingness to innovate and evolve then the Property in Hinjawadi comes at the top. Rama Fusion Towers has made this fantasy a reality, basically by utilizing the best. You can also ask any Query regarding the Rama Fusion Towers amenities and budgets from our Team. Feel Free to ask From 360Realtors experts for the Rama Fusion Towers Review and all other Details of the Project. The residences offer numbers of facilities which gives every family member a space for themselves. Rama Fusion Towers flats has a walking track for homeowners and residents so that you can enjoy your morning by making themselves fit and fine. Fitness is everything in this world. So, the Rama Fusion Towers also a gymnasium and yoga centre which will keep you fit and healthy throughout a day. At Rama Fusion Towers one can indulge in their hobbies without any interference and disturbance. To experience the best community living book your apartment now as they have a special area for the senior citizens where they can relax. Apart from that, you will be given a facility for your children where they can play. Other amenities of Rama Fusion Towers include a gym, clubhouse, 24-hours security, swimming pool etc. The Company provides only 2 BHK homes with the total area of 5+Acres. Over 550 homes have made which have a close proximity to industrial, automobile and IT Hubs. The flats in Rama Fusion Towers are ranging from 653 sqft. Carpet areas to 662 sqft Carpet area. Well, the apartments fit your budget and your dreams and are an epitome of comfort and convenience. The price range starts from Rs 47 lakhs with the advance booking of 21,000 only. Rama Fusion Towers flats will bring a positive atmosphere as well as happiness as they are situated between the vast greens. 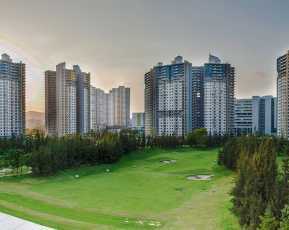 The complex is very close to hospitals, schools, entertainment hubs, rail and public transport. The area is an ideal goal for real estate property and is expected to witness immense growth over the coming years so it would be best if you book your apartments this year only. 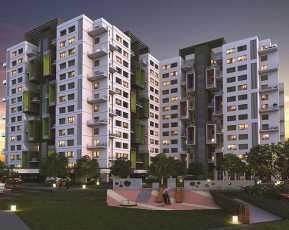 Rama Fusion Towers apartments also offers exciting payment schemes. The Rama has given homes to 10,000 satisfied families. They have created universally recognised homes at the most affordable price. Still, after the 27 years, the quality, as well as the promise of the company, is the same and that is what you will get in Rama Fusion Towers. They have close adherence to quality, efficiency, and economies.